In partnership with Poggenpohl, SBID member and world leaders in instant boiling water, ZIP Heaters UK will be supporting the premier kitchen brand while showcasing the new ZIP G4 Hydrotap. 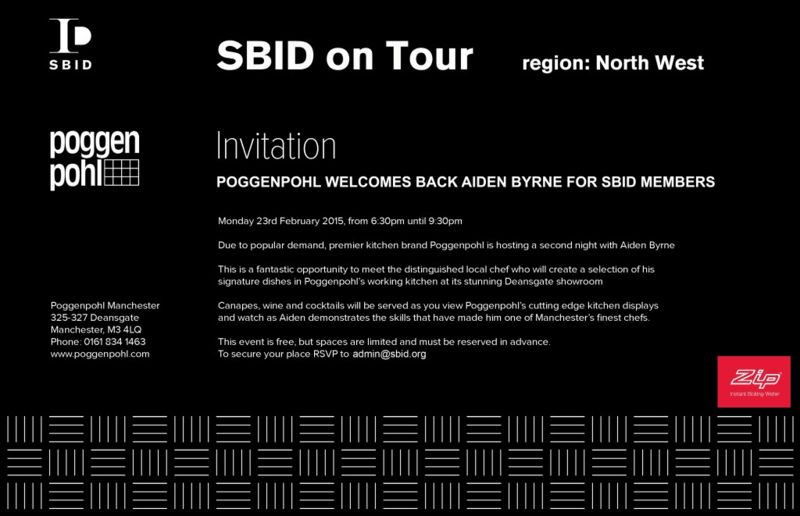 The SBID on Tour regional event will welcome esteemed local chef, Aiden Byrne who will create a selection of his signature dishes while SBID members get a chance to network with inspiring designers and developers in the industry. Marcus Beales, North West Residential Manager and SBID Regional Director will be present to support and demonstrate to guests the value and advantages of the G4 Hydrotap.